Irvine is a unique, master-planned city in Orange County, California. 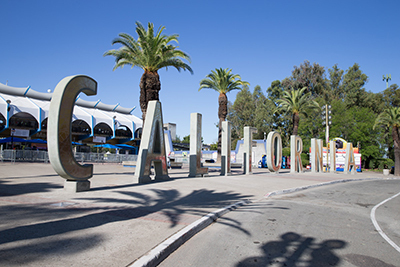 With a population just over 250,000 people, Irvine has become world-famous as the home of several technology corporations. Irvine is a new city that was formally established in 1971 according to design plans made by architects William Pereira and Raymond Watson. Despite the affluence of this area, Irvine and surrounding regions continue to struggle with a number of substance use disorders just like the rest of the United States. Along with a steep rise in alcohol-related deaths, the Orange County area also faces problems due to the nationwide opioid epidemic. Opioid painkillers such as oxycodone, hydrocodone, and fentanyl continue to cause overdose deaths and dependence across the country, with professional drug addiction treatment often needed to break the bonds of addiction. Luckily, Irvine drug rehabs serve those suffering from all forms of addictions. If you live in Irvine, and have fallen victim to substance abuse don’t hesitate to seek treatment. There are enormous resources in at your disposal. Irvine is an affluent and multicultural area, with the Asian American population of the city making up roughly 45 percent of the overall population. The rest of the demographic profile is 50.5 percent White, 1.8 percent Black or African American, and 9.2 percent Hispanic or Latino. Roughly 21.5 percent of the Irvine population are under the age of 18, with the rest of the age distribution consisting of 14.3 percent aged 18-24, 31.4 percent aged 25-44, 24.1 percent aged 45-64, and 8.7 percent aged 65 and over. Irvine is a rich area due to the number of international technology corporations operating in and around the city. The median income for a household in Irvine is $98,923, with the median income for a family being $111,455. These impressive numbers mean that Irvine is the seventh richest city in the US with a population more than 65,000. Despite the high income of the area, substance abuse and addiction is still a huge concern in Irvine. According to a new OC Health Care Agency report, drug and alcohol-related deaths in Orange County have skyrocketed by a massive 82 percent since 2000. Drug and alcohol-related hospitalizations are also up, now costing the community more than $100 million a year. While alcohol abuse remains a key concern and methamphetamine and cocaine are still causing problems in some communities, prescription opioid overdoses are responsible for most of the problems. There is an opioid epidemic sweeping across the United States at the moment, with policymakers and drug treatment professionals struggling with a huge number of cases. Opioid drugs consist of the naturally occurring opioids morphine, codeine and thebaine, along with a number of semi-synthetic and synthetic drugs make from these compounds. Commonly abused opioids include oxycodone, hydrocodone, fentanyl, morphine and many others. While Irvine has the lowest overdose death rate in Orange County along with Trabuco Canyon, Foothill Ranch, and Coto de Caza – opioid abuse and dependence is still a key concern. The highest overdose death rate in Orange County is Laguna Woods with 50.8 deaths per 100,000, followed by Dana Point and Seal Beach with 40.1 and 33.8 deaths respectively. Prescription opioids are responsible for more deaths than any other class of drugs in the United States, with dedicated detox and rehab treatment often needed to help people break the bonds of addiction. If you know anyone in Irvine who is struggling with opioid addiction or any other drug problem, it’s important to contact a drug addiction clinic as soon as possible. Substance abuse is also known as drug abuse, with this problem defined by the patterned use of a drug that is problematic to either the user or other people. Substance abuse is a specific type of substance use disorder, with substance dependence and substance addiction recognized as related problems that sometimes cross-over. People can abuse a wide spectrum of psychoactive substances, including legal drugs such as alcohol and nicotine, prescription medications, and illegal drugs such as heroin and cocaine. Professional drug addiction treatment is often needed to break the bonds of drug abuse and addiction, with detox and rehab facilities located across the United States. Substance dependence, also known as drug dependence, is a particular pattern of drug abuse that involves the experience of withdrawal symptoms when drug use is stopped or dramatically reduced. Drug dependence is an adaptive state that normally develops slowly over time as a result of repeated drug exposure. Depending on the substance in question, people may experience a range of physical and psychological withdrawal symptoms when drug use is discontinued. While drug dependence is related to drug addiction, they are not exactly the same thing. For example, drug addiction is defined as out-of-control drug use that is accompanied by negative consequences and compulsive actions. This is not necessarily the case with drug dependence, which may be the result of legitimate medication use over a long period of time. Substance abuse and substance dependence are both recognized as distinct substance use disorders in the Diagnostic and Statistical Manual of Mental Disorders (DSM-IV). If you’re worried about the problematic drug use of a friend or family member, it’s important to get professional help as soon as you can. People abuse drugs in lots of different ways, from short-term binge abuse patterns through to long-term physical and psychological dependence patterns. People often go to extreme lengths to hide their drug and alcohol problems from people around them, with some drug problems going on for years before people hit rock bottom and get the help they need. While many of the signs of abuse and dependence are difficult to see, there are some general warning signs that are worth watching out for. Generally speaking, someone is said to have a substance abuse problem when they continue to use substances despite the existence of negative consequences. Before going into a treatment program, patients need to access intake services in their jurisdiction. Catchment-based intake is designed to identify problems early and recognize broader life issues that may impact ongoing drug treatment. The symptoms of drug abuse and dependence differ widely depending on the drug in question, with doctors and other professionals needed to identify high-risk situations as early as possible. Intake providers have the experience needed to prioritize some cases more than others. For example, the severity of the dependency and substance of dependence will have a huge impact on the intake process, as will external issues such as homelessness, criminal justice issues, and family violence. If someone is in immediate harm, they need to be placed into a treatment program as soon as possible. Before starting out on a treatment program, people need to receive a professional assessment. While self-assessment can be useful during the early stages of treatment, it really is important to speak with a professional treatment counselor to get the help you need. During assessment, doctors or qualified therapists will analyze each patient with regard to their current drug use patterns, drug use history, and mental health status among many other factors. Depending on the treatment being considered, people may also be tested for dual diagnosis conditions, behavioral addictions, and secondary substance use disorders. The rest of the intake process is dependent on the initial assessment, with patients directed towards detox or rehab programs based on the likelihood of experiencing a withdrawal syndrome. Detoxification is the process and experience of withdrawal in a supervised setting. The detox process differs widely according to the substance in question and severity of dependence, with some patients needing an extended detox regime and others admitted directly into rehab. Admittance into a detox program depends greatly on the existence of physical-somatic withdrawal symptoms. While medical detox is crucial for the treatment of physical withdrawal symptoms, it may not be relevant for the treatment of psychological and emotional withdrawal symptoms. Before receiving drug treatment, it’s important to understand the difference between physical and psychological dependence. Physical drug dependence is recognized by the existence of a physical withdrawal syndrome. Drugs that cause physical dependence include alcohol, Valium, Klonopin, Xanax, heroin, oxycodone, hydrocodone, methadone, codeine, and fentanyl among others. All of these substances are central nervous system (CNS) depressants, which are known to cause severe and potentially life threatening withdrawal symptoms. Potential physical withdrawal symptoms include sweating, cramps, involuntary body movements, seizures, hallucinations, and delirium tremens. A medical detox period is typically advised so that these symptoms can be addressed before they create additional medical complications. Psychological dependence is recognized by the existence of a psychological withdrawal syndrome. While physical dependence is also associated with psychological dependence in most cases, there are many drugs that cause psychological symptoms alone as a result of drug discontinuation. Drugs that cause psychological dependence include marijuana, MDMA, cocaine, methamphetamine, and a range of prescription stimulants. Common psychological withdrawal symptoms include lack of motivation, anxiety, depression, mood swings, and altered sleeping and eating patterns. Unlike physical dependence cases, these substances rarely require medical detoxification, with patients often admitted directly to rehab. The United States Department of Health and Human Services recognize three separate stages in a typical medical detox program. The first stage is known as evaluation, with physical blood tests and mental health tests performed during this stage prior to medication This is a crucial part of the detox process, with patients only able to get the help they need after they have been thoroughly examined. Blood tests are needed to avoid dangerous drug interactions, including those that take place when more than one central nervous system (CNS) depressant has been administered. Clinicians also need to perform detailed psychological tests for mental health disorders, behavioral addictions, dual diagnosis conditions, and co-occurring disorders such as eating disorders. Once a full physical and psychological examination has been carried out, patients are ready to receive medication support. This phase of the process is designed to stabilize patients before they enter a rehabilitation program. While it may be possible to stabilize patients without the use of medications, this is not advisable in most situations. The medications used depend on the substance of abuse, with benzodiazepines and other central nervous system (CNS) depressants often prescribed to help manage and reduce dangerous withdrawal symptoms. For example, alcoholics are often given Valium in order to prevent seizures, hallucinations, and delirium tremens. While detox is important, it is not enough when administered in isolation. Drug abuse and addiction is a complex problem that requires extensive long-term treatment. Rehabilitation programs are designed to address the social, environmental, and emotional precedents of addiction through a range of psychotherapy and medication programs. During this phase of detox, clinicians will educate patients about what to expect from the remainder of the treatment process and help them get admitted into an appropriate treatment regime. People who are close to the addict may be engaged with during this phase to provide ongoing support and encouragement. While detox is essential for the safe management of drug dependence and withdrawal, rehab is the most important part of drug addiction treatment in many regards. Detox does nothing to examine the underlying issues of drug addiction, which can only be addressed through a dedicated rehab program. Rehab programs are available in Irvine and across the United States, from short-term outpatient programs through to fully immersive residential plans. Rehab is designed to help patients come to terms with their drug abuse problems and provide them with the skills and support they need to find appropriate solutions. Depending on the patient, the program in question, and the substance of abuse, these solutions may be based on pharmacotherapy, psychotherapy, or a combination of the two. Also known as medication therapy, pharmacotherapy programs attempt to support lifestyle changes through the use of medication. While medications are often limited to the detox phase of drug treatment, long-term medication support may be needed for people with severe physical drug addictions. For example, long-term alcoholics and heroin addicts often need benzodiazepines or opiate replacement medications on a long-term or indefinite basis. While medications do not help people to address the issues that surround drug addiction, they can help people to avoid overdose, crime, disease, and assist in lifestyle management while they get the psychological help they need. Rehab programs are largely based on psychotherapy support, including cognitive therapy, behavioral therapy, motivational interviewing, contingency management, mindfulness, family therapy, group counseling and many other programs. At the end of the day, rehab is designed to support lifestyle changes by helping people recognize and understand their drug problems. There are many ways to do this, with different rehab clinics specializing in different treatment methods. Only when people learn to recognize their problems and develop new and healthy psychological associations can they learn how to avoid the impulsive and compulsive actions often associated with drug addiction. Rehab clinics operate throughout California and across the United States. Before being admitted into a program, patients need to decide between residential programs and outpatient support services. Residential treatment centers (RTC) offer the most comprehensive level of support, with full-time programs lasting anywhere from a couple of weeks to six months. This type of rehab structure is ideal for people who need to interact with support staff on a regular basis and receive medications every day. Because residential programs are completely immersive, they are also a great choice for people who want to leave their home environment behind and start fresh in a new and inspiring setting. Partial hospitalization (PHP) is another rehab structure designed to support people as they confront their addiction problems. While PHP is not as immersive or comprehensive as RTC, it is generally less expensive and more flexible. A typical PHP program allows people to attend a treatment facility on a full-time basis for five days each week, returning home on the weekends for the duration of the program. PHP is the perfect middle ground between full-time residential treatment and outpatient services. Intensive outpatient programs (IOP) provide patients with the greatest degree of flexibility and personal freedom. While not as comprehensive as either RTC or PHP, this level of care is ideal for many patients. IOP enables people to live at their usual home address while getting the help they need. There are a wide range of outpatient treatment services available in the United States, from those based on conventional 12-step facilitation through to innovative new programs based on meditation and mindfulness. Rehab centers often specialize in particular programs, with some facilities adhering to the free will model of addiction and others adhering to the disease model of addiction. Rehab programs are based on motivational, cognitive, and behavioral methods that attempt to change problematic behavior patterns from the inside-out. By teaching addicts how to recognize problematic emotions and mental states as they arise, clinicians can help people to avoid many of the unhealthy and unwanted actions associated with drug addiction. Unfortunately, relapse is a common outcome of drug addiction and treatment. Also known as recidivism, relapse describes any return to problematic drug taking behavior after a period of sobriety. In order to prevent this from happening, treatment programs need to utilize dedicated relapse prevention techniques and strategies throughout the rehab process. Relapse is known to occur in three separate stages, with different skills needed during each stage to teach patients how to recognize triggers and set up new psychological associations. Emotional relapse is the first stage, with common symptoms including anger, fear, anxiety, and frustration. Mental relapse is the next phase, with common symptoms including plans for future drug use, romanticizing past drug use, and spending time with old friends. Clinicians have the skills and experience needed to recognize these stages as they occur and help patients make different life choices. The final stage is physical relapse, which describes the actual event that leads to a breakdown of the recovery process. While a physical relapse event can be difficult to deal with for both patients and treatment staff, it’s important to understand that this is not the end of the treatment process. While further interventions may be needed, some people relapse many times before they achieve long-term sobriety. Aftercare, also known as continuing care, is a crucial part of the drug treatment process. Aftercare programs come in many shapes and sizes, from intensive weekend programs through to 12-step support groups and family therapy. While rehab is the cornerstone of successful drug addiction treatment, it is not enough when used in isolation. Aftercare provides ongoing support to people in the months and years that follow treatment, with some programs such as Narcotics Anonymous (NA) attended on an indefinite basis. Sober living centers are often used during aftercare to help people transition from treatment back into the structures of normal life. Also known as sober living environments or sober living houses, these dedicated facilities provide people with safe and affordable accommodation services while they get used to the challenges of normal life. Sober living centers normally operate with a strict set of rules, including complete sobriety, no overnight guests, attending treatment sessions regularly, and co-operating with staff and house guests. If you know anyone in Irvine or elsewhere who is struggling with drug abuse or addiction, it’s important to reach out to a treatment center as soon as possible.